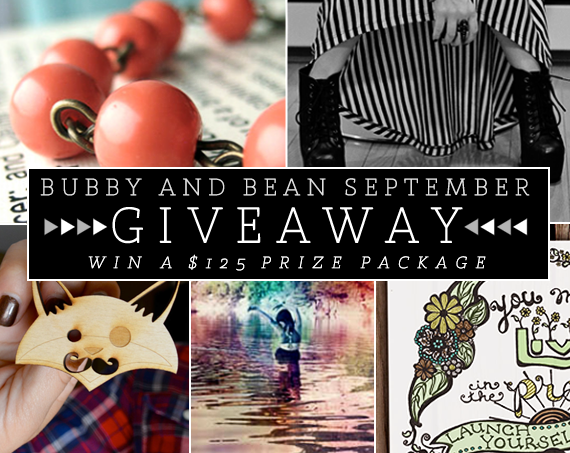 Bubby and Bean ::: Living Creatively: SEPTEMBER GIVEAWAY // Win A Prize Package Worth $125! SEPTEMBER GIVEAWAY // Win A Prize Package Worth $125! What better way to start off a Monday than with a giveaway? This month's group giveaway features five incredible prizes, all from handmade + independent shops and blogs: jewelry, art, accessories, and advertising spaces (a great way to get the word out about your shop or blog for the holidays, or to gift to friends who own small businesses or blogs!). Bubby and Bean Art is even getting in on the action this time. 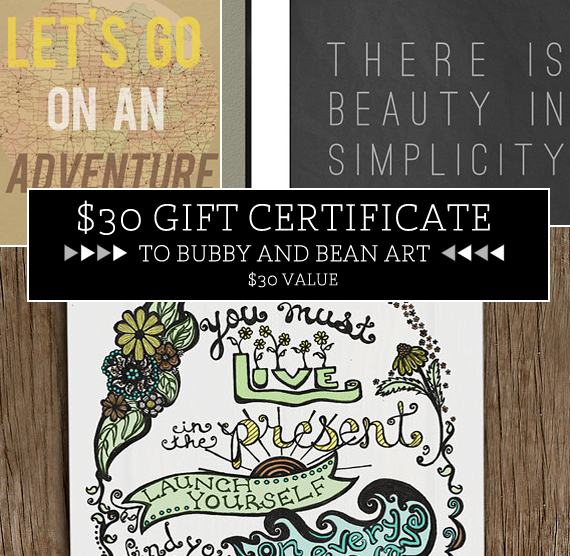 And one lucky Bubby and Bean reader will win the whole package, valued at $125! This giveaway is open to all Bubby and Bean followers/subscribers. If you're a new reader, just make sure to subscribe first using GFC or one of these readers. Then just leave a comment with your favorite fall color. That's it! Visit any of the shops from this giveaway (Oh, Nostalgia! 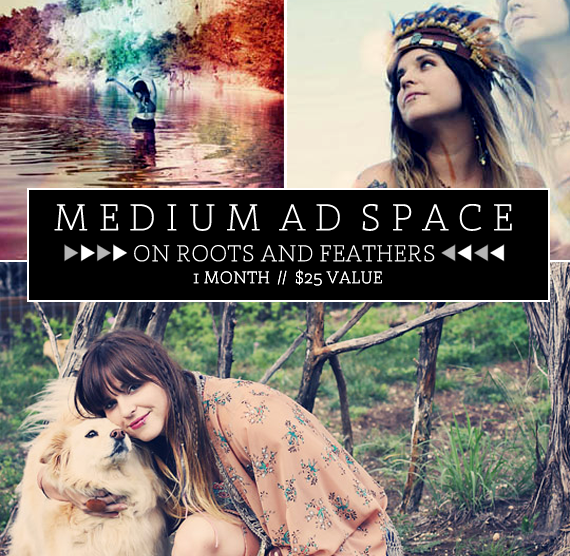 // Roots and Feathers // GrrFeisty // Little Tree Vintage // Bubby and Bean Art) and list your favorite item(s). Favorite any of the shops from this giveaway on Etsy (Little Tree Vintage // Bubby and Bean Art // Roots and Feathers // Oh, Nostalgia! // GrrFeisty). Follow/subscribe to any of the blogs from this giveaway (Little Tree // GrrFeisty // Roots and Feathers // Little Nostalgia). This giveaway is open through September 30th. The winner's name will be chosen randomly and announced soon after. GOOD LUCK! Awesome giveaway! I do follow already; and my fave fall color is orange, so easy to incorporate! From Grrrfeisty I LOVE the Professor Fancy Fox headband! // From Little Tree Vintage is Love the Levine Leather skirt w/ flowers!! // From Roots & Feathers I like the Sky blue color Cab Ring! On Etsy I faved Little Tree Vintage, and Bubby and Bean Art. Favorite Fall Color, Honey Gold PMS 15-1142 . . . OH YEAH! Oh! Easy! Mustard. Hands down. My favorite shop items: Oh, Nostalgia! = "Sea Monster Necklace" // Roots & Feathers = "Spell" skull necklace (I live outside Bandera, TX!) 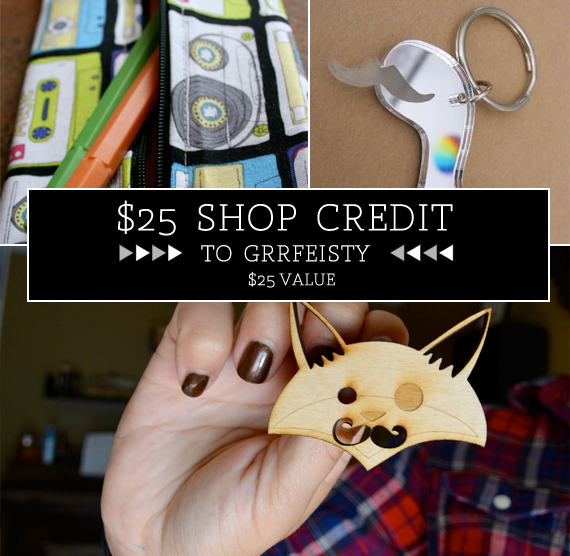 // GrrFeisty = "Mustachasaurus Necklace" // Little Tree Vintage = Birdcage Sweetheart Necklace" // Bubby & Bean = "Let's Go on an Adventure"
All lovely 5 shops are favorited in Etsy! hmmm, my favorite fall color is a deep orange-red. Thanks for the giveaway! 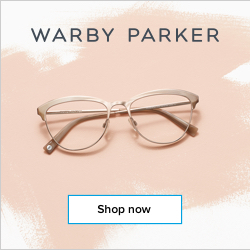 I have followed you in Bloglovin'. Sorry, forgot to separate it! 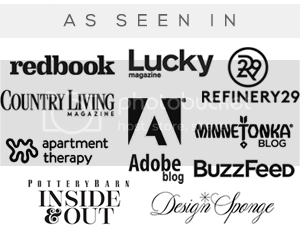 I have followed you in Bloglovin'! My favorite autumnal color is a rusty red. My favorite fall color is purple. I know that might not be a natural fall color, but it fits with the spectrum so well! burgundy is definitely my favorite of all fall colors! Loving Roots & Feather's Wall hangings! Mustard yellow is perfect for Fall! My favorite autumn color is harvest gold!! My favorite fall color is black and brown. i love, love, love dark reddish orange. 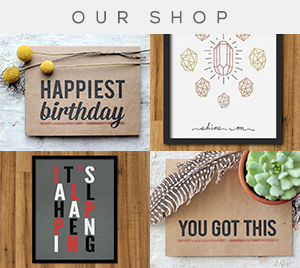 My favorite item from your shop is definitely the one you have pictured--your drawing one. And I can never choose a favorite from Laura's shop, but I am always drawn to her sea urchin spike necklaces, or feather in a bottle necklaces. From Oh Nostalgia I like the peach cluster ring. From GrrFeisty I've actually been a fan of that fox brooch for awhile now : ] And from Little Tree Vintage I love her amethyst necklaces! Bubby&Bean, Roots&Feathers, and GrrFeisty were already favorited on Etsy. I went ahead and favorited the other 2 as well! From Oh Nostalgia, I like the Long Pearl Necklace. Oh I love fall, and we're going to go real boring here, but my favorite fall color is brown. But a nice soft brown, not dirty muddy brown. Follow on pinterest... great boards! That lovely flame red that autumn leaves turn-- just screams cozy fall loveliness to me! I follow BubbyandBean on bloglovin. I follow Bubby&Bean on Pinterest. My Pinterest username is justByou. I'm a long-time @MotM_EcoFashion twitter follower. My username is shopjustByou. I love the fall colour: brown! i like dark brown and a dark redish orange! I follow you with google reader! My fave fall colour is mustard yellow. Im now following your blog. My Favorite fall color is Red. This fall, I've been obsessed with burgundy ! I follow on GFC and my favourite fall colour is red! My favorite fall color is ruby red! I LOVE BROWNS in the fall! From brown knee high boots to brown leaves in the fall! I followed all of the lovely Etsy shops listed, actually, I'm kind of swooning over them all! I already follow Little Tree, GrrFeisty and Roots & Feathers! Will go visit Little Nostalgia! I follow you on Pinterest (as HEARTing). I follow the sites and my nicks are Sayuri or Batty !! Amazing Give away!!!! Following you now! My favorite color for this fall has gotta be navy or mint! I followed Little Tree Vintage on GFC. My favourite fall color is orange. My favourite Autumn colour has to be mustard yellow, it just blends so well with everything else I own! I love brown for fall!! i already followed your blog via gfc (wronghandtobeholding at gmail.com - lucrezia cortez). my favorite fall color is orange! 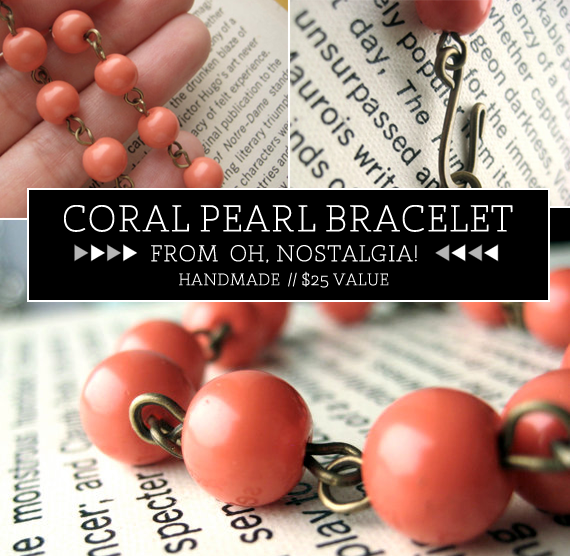 I love the Rhinestone Bracelet from Oh Nostalgia! my favorite item from ohnostalgiadesign is the Bird Necklace! my favorite item from RootsandFeathers is the copper and gold geometric arrow necklace! 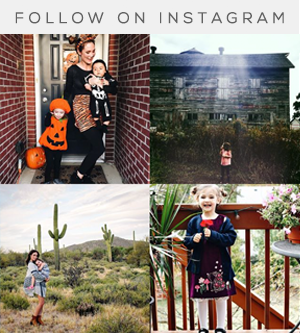 i'm following little tree vintage on bloglovin'! i'm following little nostalgia on bloglovin'! i'm following bubby and bean on bloglovin'! Love the skylar necklace at roots and feather's shop! i love your, "you must live in the present" print! grrfesty has great zipper pouches. This is a great giveaway. i've visited little tree blog recently and think she's just precious. 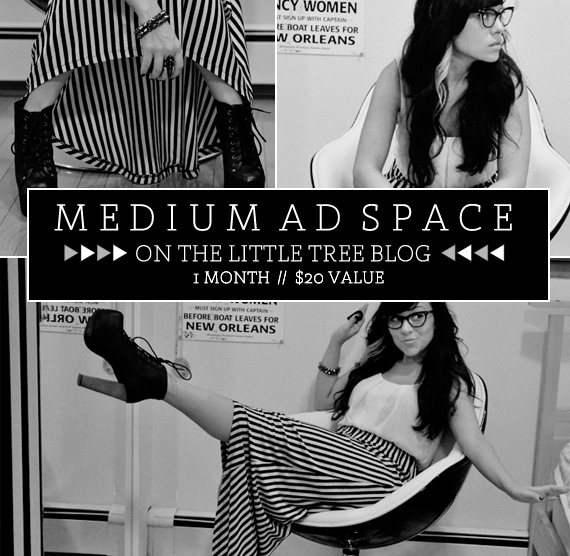 Would love an opportunity to win an add space!! I follow you using Google Reader. 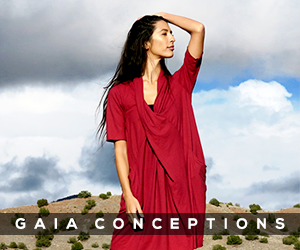 My favorite fall color is red (the burgundy/rusty red color).